Buy 1 - 2 for $46.95 ea. Buy 3+ for $43.95 ea. 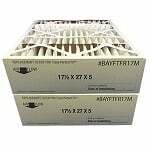 The Trane BAYFTAH21M2 Replacement Air Filter 21.5x21x5 fits the TFM215B0AH0 Perfect Fit High Efficiency Air Cleaner. 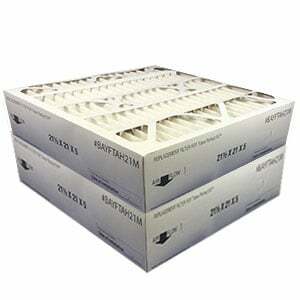 This Trane Perfect Fit filter has a MERV 8 rating that helps purify your air and improve overall indoor air quality. 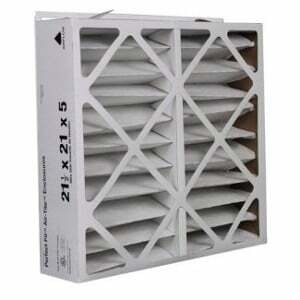 Measuring approximately 21" x 21.5" x 5", this Trane air filter should be changed every 6 months to achieve optimal results. Approx. dimensions: 21" X 21.5" X 5"
Actual dimensions: 21.1" X 20.1" X 5"